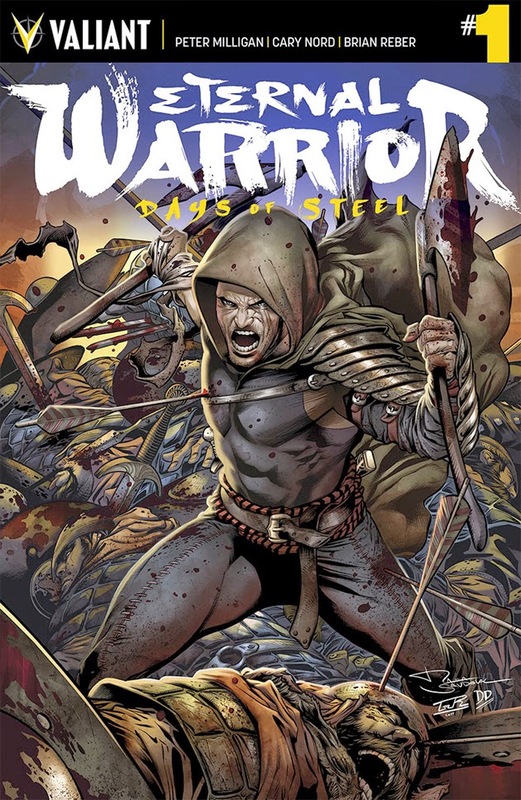 Peter for his worth is a new recruit to Valiant (but not comics), however Greg Pak's work on the eternal Warrior monthly has made it one of the best reads in the publishers stable, and I'm sure there is plenty of meat on the bones for Milligan to put his classic spin onto. 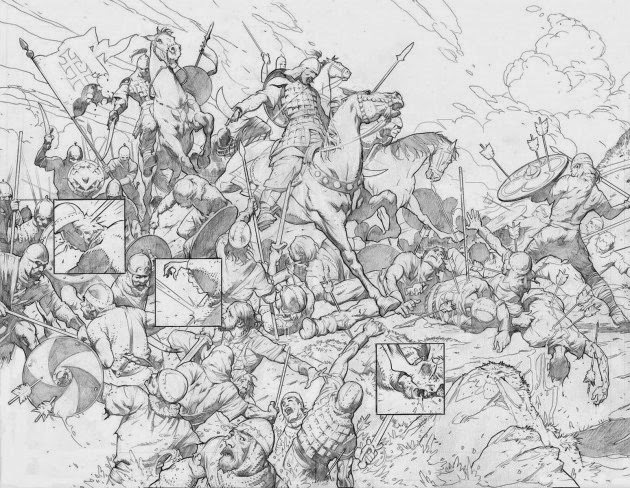 Gilad, the Eternal Warrior, has had the quietest role so far in Valiant's team book Unity, but the one third of a trio of immortal brothers could well be in the limelight as the new year dawns, thanks to this mini, and the wars raging within its pages. Valiant says: For more than 10,000 years, the Eternal Warrior has stood guard, protecting the Earth from all who would seek to do it harm. A master of countless weapons and long forgotten martial arts, he is guided by the Geomancers – those who speak for the Earth. Confident in his role, the Eternal Warrior believed he had seen and survived it all…until a mysterious quest in the tenth century led him to question the very foundation of his existence. After completing another brutal mission at the behest of the Geomancers, the Earth’s undying guardian is approached with a cryptic task: to find and save a newborn child – in whose hands might rest the fate of an entire people. But when a thousand conquering Magyar invaders join the quest for the child, can history’s most expert killer be trusted to keep one precious life alive?